Editor’s note: During my last move, all my plants wilted in the Houston heat and humidity. One of these plants had been with me for 11 years. I had to start over after I got settled in. 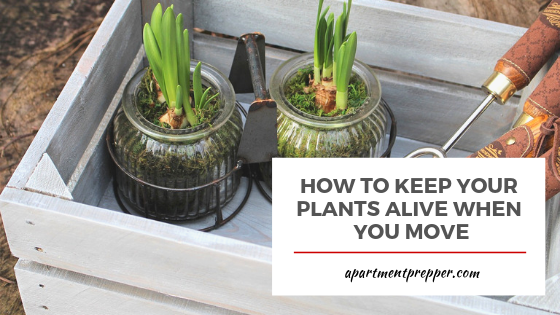 Today’s article gives a lot of good tips to avoid killing your plants at your next move. You are finally moving out of your old place and looking ahead to new beginnings. But, you’ve worked hard to keep a healthy garden or an impressive array of indoor plants that you are desperate to take with you. The Zebra understands your separation anxiety with your plants, that’s why they created this guide to transporting plants. Their tips work best for smaller plants but can be used for medium-to-large plants, as well. Like all living things, plants require a balance of attention and careful handling, especially during moves. Two to three days before hitting the road, water all plants. Moisten the soil without drenching the plant, but make sure the roots are damp. A light sheet (for larger plants) and newspaper (for smaller plants) protect foliage from winds and freezing temps. Use these during transport to save plants from frostbite. 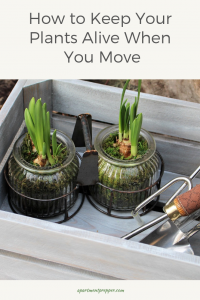 Make your plants the last items to load into the car. If you’re moving in the middle of winter, try loading plants through the garage to minimize exposure to cold. Like your kids, plants should be one of the first things you take out of the car upon arrival at your new destination. Doing some prep work prior to relocating your plants will make the transition smoother for you along the way. Moving across state lines? Be sure to call ahead to your new home state (or country) to check rules for transporting plants. Certain states — like Florida and California — have strict rules about plant transportation. The USDA website is a great resource for specific plant transportation laws. Try not to move plants when in bloom, if possible. Prune away any dead branches and leaves a few weeks ahead of time. A couple days before moving, remove any bugs and weeds. Old bed sheets protect leaves from the elements. Pruners help keep plants healthy along the trip. A spray bottle makes it easy to mist delicate plants without soaking the soil. Boxes, trash bags, and tree netting are other supplies to consider buying for the trip. If you can’t take your whole garden, take some clippings for transplant. Clippings take up less space. Wrap wet paper towels at the ends of clippings and secure with rubber bands. Gather clippings the same morning you plan to hit the road. If you’re unsure if your favorite orchid can make the trip, talk with a local nursery expert or a horticulturist. Have a list of concerns written out beforehand so you don’t forget to ask your most pressing questions.